Above: State-contracted SEAT T-831 drops sunset orange FireIce HVO-F®. Courtesy photo. Efforts are underway in Colorado to better evaluate how water enhancers delivered from a single engine air tanker can be more effective than retardants in fighting wildfires. Colorado historically has only loaded long-term retardant into SEATs. These chemical concentrates are mixed with water and alter fuels so they do not support combustion. 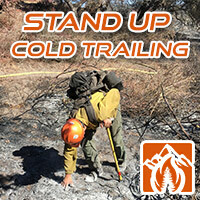 Retardant is dropped adjacent to — or ahead of — the fire to create a chemically induced fire break at its perimeter. Molecular bonds from water enhancers, however, slow evaporation by creating a thermal protective coating. SEAT drops of water enhancers are mainly used in direct attack to slow or halt the fire’s rate of spread long enough for ground resources to access the fireline and mop up or supplement the knockdown process. These gels have generally been limited in use in recent years, and field testing has been minimal. Information about water enhancers’ availability, use and effectiveness is sparse at best. Observe and evaluate drops of water enhancers on wildfires and record information about 1) whether the water enhancer stopped or slowed the forward advance of the fire; 2)whether the water enhancer reduced fire intensity to a sufficient level for ground crews to manage the fire; and 3) whether the water enhancer persists on the surface fuels long enough to prevent hotspots from redeveloping or the fire from burning through the drop. Determine whether water enhancers delivered from a SEAT are effective on wildfires in Colorado. Effectiveness will be viewed in terms of how effective the products were in achieving the desired suppression objectives. 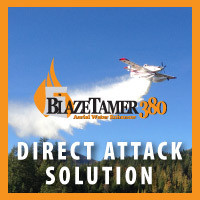 Collect as much data as possible regarding the effectiveness of water enhancers used during initial attack and on emerging fires. Share lessons learned from the evaluations with interested parties, including cooperators and researchers. Test and evaluate newly developed ground-based mixing/batching equipment to assess the efficiency of the mixing and loading processes and the ability of the equipment to reduce response times. “SEATs loaded with water enhancers will respond to fires on State and private land, as well as to fires under the jurisdiction of BLM, the National Park Service, and USFS. Mixing will be at the recommended ratios in the USFS Qualified Products List for each product on all drops. For the first load on each fire, State and Federally contracted SEATs will respond to the incident with water enhancer unless the ordering unit clearly specifies the need for LTR instead. Decisions regarding where, when and how to apply a particular aerial retardant or suppressant are typically under the discretion of the Incident Commander, so if at any time the Incident Commander or the Air Tactical Group Supervisor feels that the enhancers are not performing as desired, the Incident Commander can immediately order that the SEATs be loaded with retardant. The three water enhancers being evaluated in the study are: FireIce HVO-F, BlazeTamer 380, and Thermo-Gel 200L — each is approved by the U.S. Forest Service for use in SEATs. 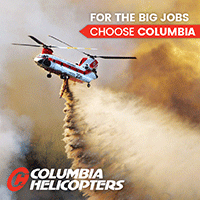 The Center of Excellence for Advanced Technology Aerial Firefighting, with support from the Division of Fire Prevention and Control’s Aviation Unit and the Bureau of Land Management, is conducting the study. After weighing input from researchers and firefighters, investigators will compile a preliminary and final report about the project’s findings. A single engine air tanker (SEAT) struck a powerline while on final approach for a water drop on a fire in northern Idaho. At the time the pilot was not aware of the strike but after making the drop noticed that there was some damage to the left wing. The accident occurred July 28, 2016. The SEAT, based out of McCall, was dispatched to the fire near Kooskia, Idaho at 1529 hours. The line strike occurred on the SEAT’s second load delivered to the fire. The first load was split and applied on two different runs prior to a Lead Plane arriving on scene. On the second load, the SEAT was a little off of the line set by the Lead Plane and the SEAT Pilot was unsure of exactly where the Lead Plane wanted the drop. This prompted the SEAT Pilot to make a dry run. At this point, the ATGS, who was circling overhead, instructed the Lead Plane to give the SEAT a target and let him work his own approach. The SEAT came back around in a fairly tight circle which created a different final approach than had previously been used. This new approach of the flight line brought the SEAT over a powerline that had not been identified prior to the strike. The Pilot identified the location of the known powerline across the draw and concentrated his attention on the approach as he was lining up for the drop. The angle of the bank caused the nose and the right wing of the plane to create a blind spot, obscuring Power Pole 2 from view. The angle of the sun and the dark color of the powerlines would have made them basically invisible against the backdrop of the terrain. The Pilot was unaware of the strike at the time it occurred with the only indication being a brief sound that was not part of the “normal” sounds experienced in the aircraft. The flight was bumpy due to turbulent air that is normal on hot summer days in canyon country. Following the successful drop, the Pilot informed ATGS that he might have hit something. The Pilot flew back over the drop area and confirmed that the known powerline was still intact. He did not locate the poles from the line that had been struck. As he was heading back to the dip location, he looked out at his left wing and realized that numerous vortex generators were missing. The vortex generators are glued on the wing and have been known to come off in flight, but normally only under extreme cold or hot weather conditions. Normal flight is not affected by missing vortex generators. Their purpose is to add stability, lift, and performance during dipping and dropping maneuvers. All controls of the aircraft were functioning normally. At this time, it had not been established that a wire strike had, in fact, occurred. The Pilot was initially going to return to the dip site for another load when the ATGS recommended that the SEAT fly to the Lewiston Air Tanker Base to check for possible damage (56 miles with crash/rescue services). The Pilot informed ATGS that he was returning to base at McCall (83 miles without crash/rescue services). File photo of SEAT Base Manager Wes Cadotte at Hot Springs operating the reloading equipment for Air Tanker 466 that was working the Sheep Wagon Fire near Newcastle, Wyoming, August 20, 2011. The Hot Springs Municipal Airport has been a busy place this last month. The single engine air tanker (SEAT plane) based out of the Hot Springs Airport during the summer months has been especially busy. 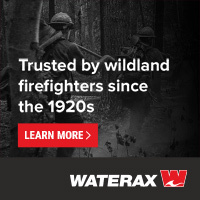 Just in the month of July alone, the Wildland Fire Division crew operating it has flown over eighty fire missions within western South Dakota. Wildland Fire was also quite busy with the Indian Canyon Fire by Edgemont, having four planes flying out of our airport to assist in putting that fire out. We are really glad to have them based here in Hot Springs for immediate the fire protection of our area. Switching gears from firefighting operations at our airport, we also saw an increase of recreation users this last week during the Oshkosh, WI fly-in. Many planes traveling to Oshkosh for the fly in chose to land in Hot Springs for fuel with some renting hangar space for the night. Many also stopped again on their way home to refuel their planes. Separate of the fly-in, we were lucky enough to see a 7/8 scale P-51 Mustang land here on July 30th. For those familiar with aircraft, you know this was a sight to see. File photo of Tanker 466 at the Hot Springs Single Engine Air Tanker Base, August 20, 2011. Photo by Bill Gabbert. Tanker 855 flown by Dave Bright, as seen from Tanker 873, piloted by Fred Celest. Photo by Fred Celest. Fred Celest sent us this photo he took with his cell phone while he was returning from the 16 Mile Fire in eastern Pennsylvania for a load and return. Both planes are operated by New Frontier Aviation out of Fort Benton, Montana. The single engine air tankers are Air Tractor 802s with Garret-14 engines. We’ve written about T-873 a couple of times before. The Northwest Territorial government has ordered $26 million worth of single engine air tankers, an acquisition that will add new eight Air Tractor 802 Firebosses to their fleet. …This is the first time the territorial government has bought new water bombers, which are used to fight fires. It inherited the current fleet of Canadair C-215s, which were introduced in 1969, from the federal government for $1. The minister of environment and natural resources, Wally Schumann, says it makes more sense to buy the new Air Tractor 802 Fireboss aircraft than to upgrade the old fleet. “I think the cost of doing that, from everything I’ve seen, would have been four times or five times the cost of purchasing these new Firebosses,” he said. The government plans to issue a request for proposals this spring for the operation and maintenance of the fleet. It could have asked contractors to provide a fleet of aircraft as well as operate and maintain them, but Schumann says many northern companies would not have been able to bid on it. Thanks and a tip of the hat go out to Doug. A Blackhawk and a Homeland Security surveillance aircraft are staged at Burns. Above: file photo of Department of Homeland Security’s Beechcraft Super King Air 350 (N50056). FlightAware photo. As we reported on January 10, the FBI has been staging equipment at the Single Engine Air Tanker Base at Burns Municipal Airport four miles east of Burns, Oregon. Initially a large truck with numerous antennas showed up that is probably used as an incident command post. The airport is 21 air miles north of the headquarters of the Malheur National Wildlife Refuge where armed domestic terrorists broke into and seized the facilities at the site. In the last few days additional equipment arriving at the tanker base included about half a dozen armored vehicles, a Blackhawk helicopter, and a Beechcraft Super King Air 350 surveillance aircraft (N50056) with very obvious external accoutrements, sensors, and communications gear. The King Air, registered to the Department of Homeland Security, has a logo that appears to be “U.S. Customs and Border Protection”. According to FlightAware records it flew in from Boise on January 27 after having been at St. Augustine, Florida on January 25. The Bureau of Land Management operates the SEAT base independently of the city-owned airport which remains open. The base, which cannot handle air tankers larger than a SEAT, has one pit for loading aircraft and parking for three. The HRT’s Tactical Aviation Unit is staffed by FBI special agents. The Tactical Helicopter Unit, a sub-unit of the Tactical Aviation Unit, contains a variety of specially modified helicopters. These helicopters include military converted Sikorsky UH-60 Black Hawk tactical transport helicopters and tactically enhanced Bell 412 and Bell 407 helicopters. The HRT’s tactical aviators are required to fly daily. Thanks and a tip of the hat go out to Matt. The Federal Bureau of Investigation is staging equipment at the Air Tanker Base at Burns Municipal Airport four miles east of Burns, Oregon. 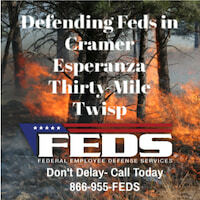 The Oregonian reported that FBI personnel were blocking the entrance to the Bureau of Land Management’s Single Engine Air Tanker Base and that “… a large vehicle sat equipped with FBI signage, numerous antennae, a satellite dish and other gear.” Law enforcement officers have been seen at the site for several days. Burns Air Tanker Base. File image from Google Earth. The airport is 21 air miles north of the Headquarters of the Malheur National Wildlife Refuge where armed domestic terrorists have broken into and seized the facilities at the site. The BLM operates the base independently of the city-owned airport which remains open. The general aviation airport, with two runways a little less than a mile long, began as a military air base in the 1940s. The SEAT base, which cannot handle air tankers larger than a SEAT, has one pit for loading aircraft and parking for three. Reuters has photos of the FBI agents at the airport. Screen grab from the simulator for a fire retardant dispersal system from Trotter Controls. David Benson of Trotter Controls sent us information about a simulator for their fire retardant dispersal system. The company makes the GENII firegate and controller for Air Tractor AT-802F single engine air tankers. Anyone with a Windows-based computer can download the program to train with the system. This Windows-based simulator allows pilots to operate a virtual Fire Retardant Dispersal System (FRDS) and firegate from a personal computer. This is great training for new SEAT pilots and is just downright FUN. The simulator is a free download. Whether you already own an FRDS GEN II, or you’re just considering an upgrade to the FRDS GEN II, you should check out the app. 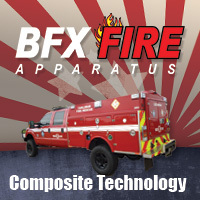 You’ll be amazed at how simple operating the world’s premier fire gate truly is.